QUINCY, Feb. 21, 2019 – IntelyCare today announced that John Shagoury has been appointed President & Chief Operating Officer, a new position at IntelyCare, an expansion to their executive team. Shagoury will assume the responsibility of accelerating growth and driving operational excellence at every level of IntelyCare, as they continue to scale their business and improve their workforce management solution at every turn. Shagoury has a distinctive tenure of executive management, sales and marketing experience in the software and healthcare spaces; prior to this appointment, he served as Chief Executive Officer of Eliza Corporation. Prior to Eliza he served as Executive Vice President and General Manager of the Healthcare Division at Nuance Communications, Inc. Prior roles include President of Dragon Systems, President of Kubi Software and President of Corporate Software & Technologies. IntelyCare is an intelligent workforce management solution for post-acute healthcare facilities. Its unparalleled matching technology understands the needs of healthcare facilities and nursing professionals at a hyper-local level to improve care by automatically optimizing and augmenting staff. The company is headquartered outside of Boston, Mass. 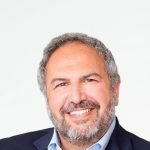 and backed by strategic investors including LRVHealth, Leerink Revelation Partners, Longmeadow Capital, and healthcare entrepreneur Bill Mantzoukas. For more information on our industry-changing solution, please visit our homepage. Quincy, Mass. – November 1, 2018 – IntelyCare today announced a $10.8 million investment to expand development and adoption of its intelligent workforce management solution for post-acute healthcare facilities. The Series A round was led by Leerink Revelation Partners with participation from Longmeadow Capital, previous investor LRVHealth and Bill Mantzoukas, an entrepreneur who has owned and operated a series of skilled nursing facilities. This investment brings IntelyCare’s total funding to $14 million. Through unparalleled matching technology powered by artificial intelligence (AI), IntelyCare removes the tedious and manual process of scheduling shifts at post-acute healthcare facilities. This is a challenge that facilities nationwide struggle with amid a growing shortage of nursing professionals and increasing demand for care driven by aging Baby Boomers. In fact, the U.S. Bureau of Labor Statistics predicts there will be nearly 1.2 million registered nurse vacancies by 2022, with nurses in home care, long-term care, outpatient and rehabilitation work settings needed most. With mandated staffing levels and a lack of nurses needed for required shifts, filling a schedule is a daily struggle for healthcare facilities. Administrators and schedulers constantly plead with employees to take extra hours and fill empty shifts, and then enlist multiple staffing agencies to fill the remaining gaps in coverage. IntelyCare enables a healthcare facility to optimize its existing nursing staff and augment it when needed. The company’s deep understanding of nurse and facility needs at a local level – driven by its intelligent matching and pricing engine – provides a seamless solution to staffing challenges with minimal manual involvement. Shifts can be filled in as little as 6 hours in advance, and predictive analytics help forecast potential openings weeks in advance, making it easier to immediately fill shifts once they’re officially posted. Healthcare facilities pay a flat rate to help them simplify planning and budgeting, and the wages that nurses earn are dynamically priced based on the ease or difficulty of filling a shift – a key component to IntelyCare’s industry-leading fill rates. IntelyCare considers dozens of data elements and more than 600,000 observations – such as past behavior, time or day of shift, medical specialties and certifications, geography, pay rates and familiarity with a facility – to present nurses with the shifts they’re most likely to accept. IntelyCare gives nursing professionals freedom and flexibility to pick up extra shifts and augment their income when it’s convenient for them, without the prerequisites that staffing firms mandate, such as the number of days or weekends worked per month. They can quickly view a list of open shifts – tailored to their needs, preferences and abilities – on an easy-to-use mobile app. On average, nurses who use IntelyCare open the app on their phone five times per day. Automated billing. Nurses check in and out of their shifts on the IntelyCare app, which uses geofencing technology to validate hours worked, and are paid directly from IntelyCare. Worry free audits. Healthcare facilities are regularly required to provide governing bodies with full profiles and credentials of every nursing professional that has worked at their location. IntelyCare’s online dashboard, with real-time workforce insights and downloadable profiles, makes this task quick and accurate. Higher quality nurses. IntelyCare learns about each nurse and facility’s preferences through every interaction and proactively seeks feedback through a rating system, enabling it to improve matching over time. Nurses get to work where they want and facilities get the nurses they value most. As part of this funding round, Halsted has joined IntelyCare’s board of directors. He now sits alongside current board members including David Coppins, IntelyCare’s CEO and co-founder who previously served as president of Virgin Pulse and was co-founder and president of Upromise; Ike Nnah, IntelyCare’s CTO and co-founder who has a decade of experience driving healthcare IT; and Keith Figlioli, general partner at LRVHealth who has nearly two decades of experience investing in and operating digital health companies. IntelyCare is the intelligent workforce management solution for post-acute healthcare facilities. Its unparalleled matching technology understands the needs of healthcare facilities and nursing professionals at a hyper-local level to improve care by automatically optimizing and augmenting staff. The company is headquartered outside of Boston, Mass. and backed by strategic investors including LRVHealth, Leerink Revelation Partners, Longmeadow Capital and healthcare entrepreneur Bill Mantzoukas. For more information, visit www.IntelyCare.com or follow IntelyCare on Twitter at https://twitter.com/intelycare.